Then I caught a break. 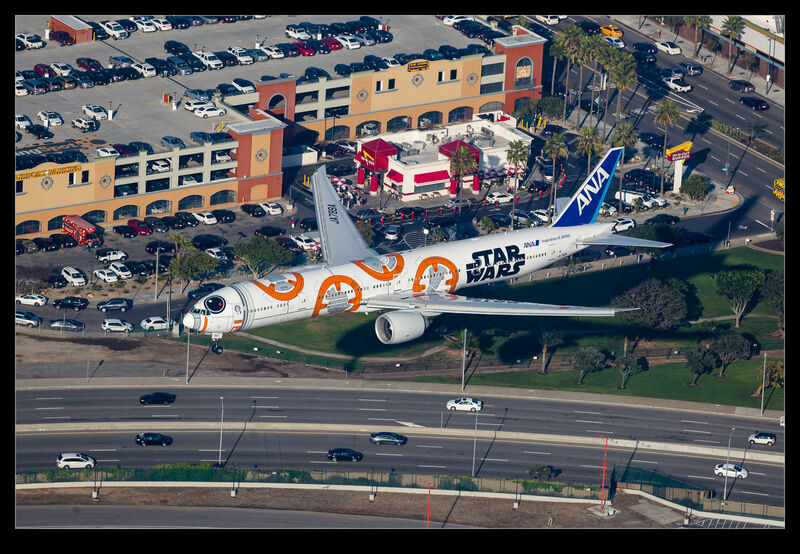 I didn’t realize this at the time but it was operating to Los Angeles the day I was shooting over the airport. I knew an ANA 777 was on its way in but I had not paid too much attention to which aircraft it was. 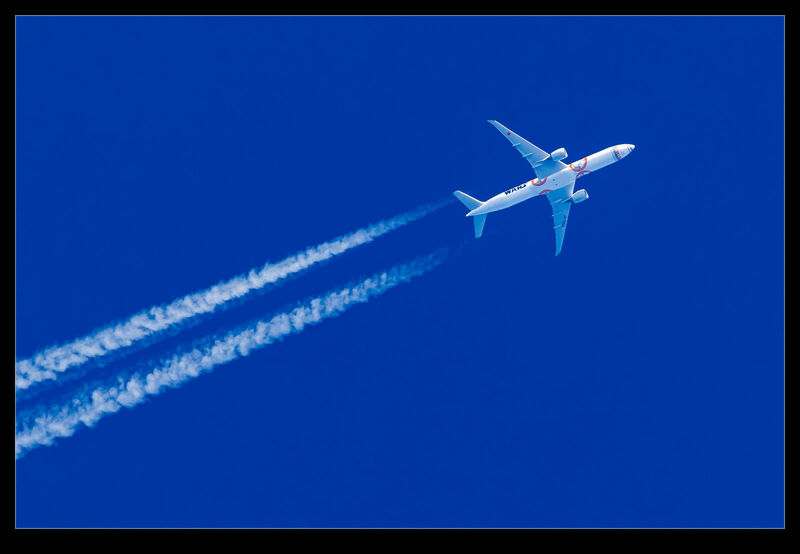 As I was hanging over the airport, I picked the jet out of the murky skies as it came down the approach and, as it got closer, I realized which jet it was. I have to admit, I was rather surprised and a bit excited when I saw it. 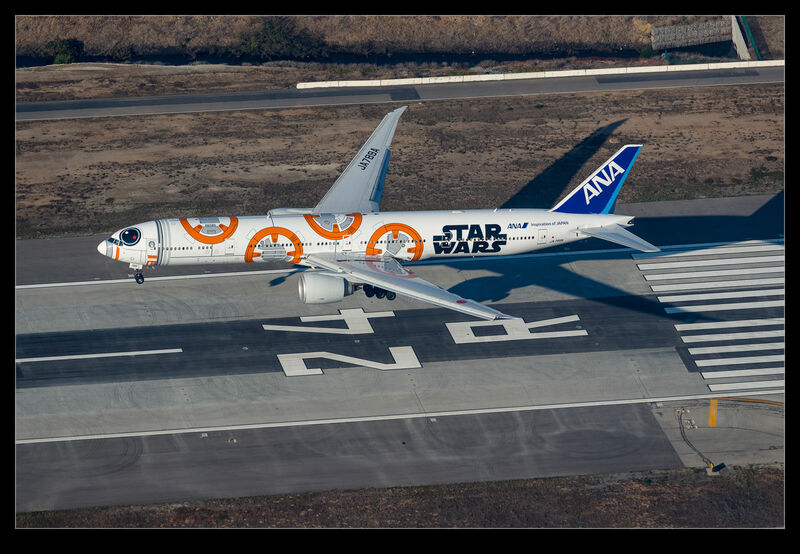 This entry was posted in aircraft, civil, photo and tagged 777-300ER, a2a, aerial, aircraft, airliner, airplane, all Nippon, ANA, Boeing, california, civil, jet, KLAX, livery, Los Angeles, photo, scheme, special, star wars. Bookmark the permalink.